In response to complaints of outdated mapping, from 28th June 2012 TomTom is enabling all of its 60 million satnavs to receive and make inter-active updates. Map Share technology enables drivers to keep the TomTom map on their device up to date with immediate changes in their area. 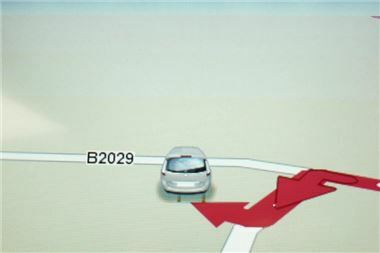 Dynamic road changes, such as changed speed limits, new street names, blocked roads and new traffic directions can be updated directly on the satnav. Drivers then have the choice to share those road changes with TomTom and the broader Map Share community. All TomTom customers can now download daily Map Share changes for free. "Roads change all the time. Overnight, roads can close or traffic can be diverted, having a big impact on people¹s journey times." says Corinne Vigreux, TomTom¹s Managing Director. "With Map Share, drivers can update their own mapping themselves straightaway. Plus, TomTom has an active community of drivers who share around 250,000 road changes with TomTom and each other every month. With this new initiative, Map Share will increase enormously, hugely reducing confusion and anger about misdirection. Map Share enables people to quickly and easily report and share the most frequent road changes. More structural, long-term changes such as the addition of roads or roundabouts are validated and updated within TomTom's maps and made available on a quarterly basis. TomTom's approach to mapping includes the combination of authoritative sources, such as field collection, government data or satellite imagery, with community input to ensure its maps accurately reflect reality. Map Share is already available for many TomTom customers. From 28 June, all TomTom Start, Via and GO customers will be able to receive free daily map changes from the TomTom Map Share Community via a simple, free software update. Drivers retain control over which daily map changes they load onto their device. They can choose to accept changes submitted by some or many other Map Share users, or only those verified by TomTom.